Hi Welcome all, here we know about Xiaomi Mi A2 or Mi 6X features and price and launch date in India. As you know the Xiaomi Mi 6X has been launched in China on 25th April, 2018 and in it may launch very soon. So what the new Mi phone has and what is the key features of the phone? 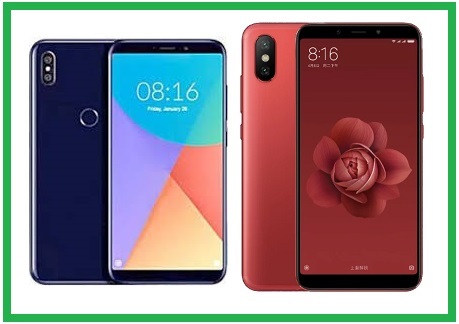 as you know in the competition Android platform all the manufacturer wants to give the latest features and a new polished look to the phone, so all are trying to develop their smart phones and here we will know about Xiaomi Mi A2 or Mi 6X called in China. Primary: 20MP ( Sony IMX486 sensor+F1.75 aperture+ 1.25µm pixel size) + 20MP (Sony IMX376) with Artificial Intelligence. Front Camera: 20MP with Sony IMX376 sensor, F1.75 aperture, 1080p, Auto-HDR. Fingerprint sensor, Bluetooth v5.0 LE, Wi-Fi (802.11 ac; dual-band: 2.4GHz/5GHz), USB Type C port, A-GPS/GLONASS, Infrared sensor (TV remote control). Xiaomi Mi 6X Release Date in India? Xiaomi Mi 6X is expected to be released in India, and it may comes with a different name probably Mi A2. As you know the Mi 5X has been launched in India with the name Mi A1 similarly it may comes with a different name but all other features may remain same which runs Android 8.1 Oreo based MIUI 9.5. The Mi A2 is expected to debut in India within June 2018.